It’s hard to believe it’s already Wednesday. Where did the week go? It seems to be flying by. I think the cooler weather helps. Honestly, I’m sure the 100 degree weather slows things down and melts clocks and such. So there’s actually quite a bit happening this week. For starters, I blogged today over at Tales From the Hollow Tree. It’s a review of Maria V. Snyder’s Poison Study. 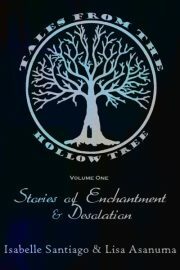 If you haven’t been following Hollow Tree, check us out! There’s a lot going on. Movie reviews, book reviews, mythology and flash fiction – all canopied under my fave YA genre: fantasy. It’s really a fun place to be. A handful of authors, including NYT Bestselling author Jessica Andersen, Stella Price, and Isabelle Santiago, will be doing a Romance Author Panel and book signing to celebrate the start of a new school year and encourage all to read! Please be aware there will be various genres and heat levels available! If they are not to your taste, you are free to peruse the bookstore or just swing by momentarily to show support for your favorite author. And I have decided in honor of my first post-baby booksigning I’m going to change my look! That’s right! It’s time for Mommy Makeover! I’m going to scour Sally’s today for some blonde hair dye and I’m trimming my hair, maybe even cutting bangs in. I need a change. Hopefully it’ll be a good one. That’s it for me today. I have lots of writerly things to attend to. Happy hump day all! !